Joseph Dringus : MAGCO, LLC. 5 star service with 5 star food. ~ Best food in town. ~ This place is great. 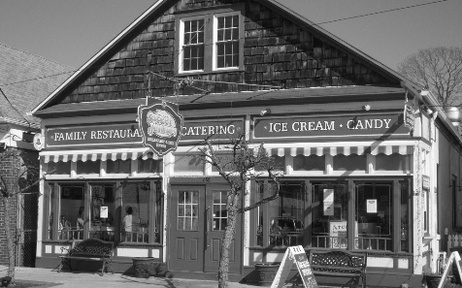 It has an old-school soda fountain feel and great ice cream. ~ Awesome! ~ Thanks go out to Joe and his wonderful catering staff. Sweet Jenny's catered my wedding and the food was excellent. ~ Great place to go for lunch or dinner, I eat here at least 3 to 4 times a month. ~ Always a top notch catering service. ~ This adorable little restaurant is a scene from an era gone by. ~ I love their noodles, they are yummy in my tummy!